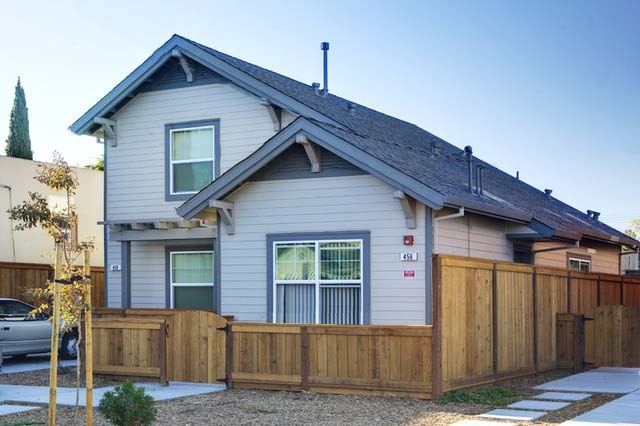 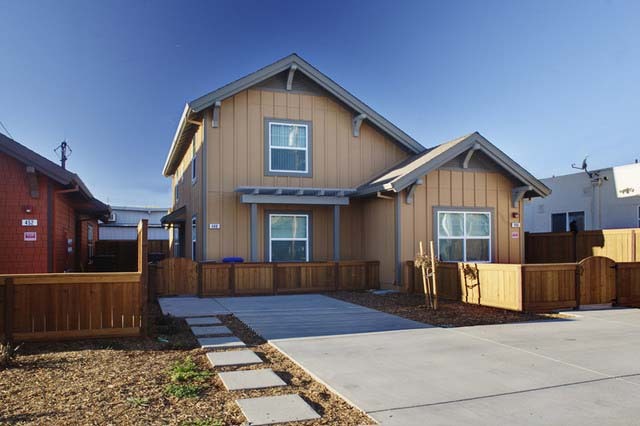 Santa Fe Commons provides 10 new units of affordable housing on 5 separate in-fill lots within the redevelopment area of the City of Pittsburg. 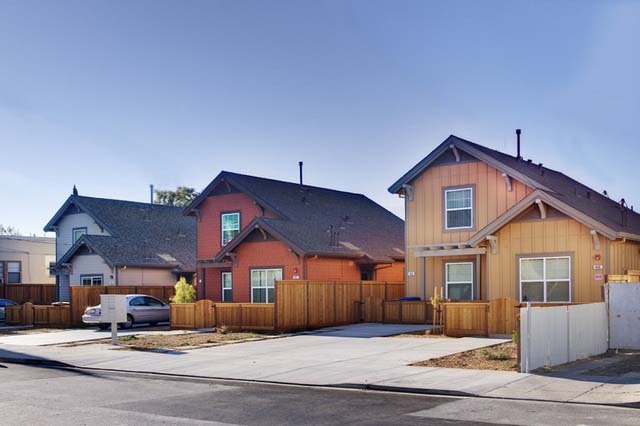 Four charming three and four bedroom single-family bungalows will replace abandoned homes and vacant lots and another blighted single-story six-unit apartment building will be almost entirely reconstructed into a playful two-story complex called Santa Fe Place. 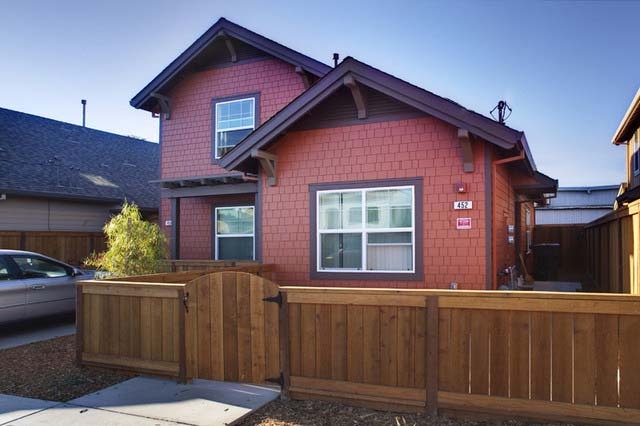 The bungalow architecture respects the scale and character of the surrounding historic homes and the Santa Fe Place building preserves an existing street façade, creating a new internal common courtyard.